The State Museum opened a new exhibit last week -- Ice Ages -- that is about... well... ice ages in New York. (Surprise!) 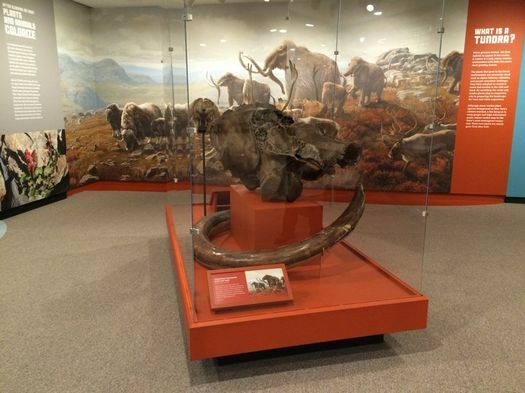 It's back by the Cohoes Mastodon and worth a stop the next you're at the time museum. It'll be on display until the beginning of 2019. You probably know the basics of ice ages. The climate takes an extended cold swing. Huge glaciers spread across the land. But it's kind of hard to wrap your head around just how big the glaciers were. As the exhibit points out, during an ice age 24,000 years ago the glacier covering the Albany was 1.5 miles tall. By examining deposits extracted near Union Springs, New York, State Museum scientists have identified six different glacial cycles that cover New York. By the way, one of the techniques used for dating these deposits is called "optically stimulated luminescence" in which scientist use the escape of photons trapped in the quartz to estimate the date of the material. 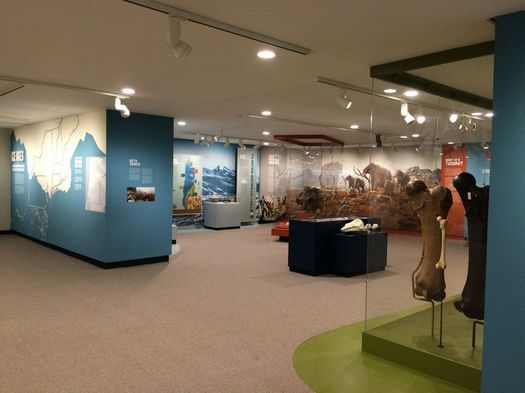 The exhibit highlights the different animals that lived across New York during the ice ages, some of which are extinct, others that still exist elsewhere. Among the extinct animals: a giant beaver species that grew to 8 feet long and weighed as much as 275 pounds. (There's a replica skull on display.) But get this: The giant beaver's teeth weren't sharp -- so it couldn't cut down trees. Another weird extinct animal that lived here: Jefferson's Ground Sloth, that grew to more than 9 feet in length. Cool to see a new exhibit! Anyone have any idea how old the Adirondack Wilderness exhibit is? I remember it from the mid 90s and I look forward to showing my grandkids a dusty stuffed wolf in the next century.